Abraham Shalom Yahuda (1877-1951) was a fascinating figure who defies easy characterization. An Arabic-speaking Jewish intellectual from late Ottoman Palestine, he was an abiding idealist who worked tirelessly for Muslim-Jewish shared inquiry and joint work. Yahuda was a prolific scholar of Arabic poetry, Jewish philosophy under Islam, Qur'an and the Bible. He wrote in five languages and lived and taught on three continents and argued with the leading European and Middle Eastern intellectuals of the first half of the 20th century. Yahuda also loved books and libraries; he was one of the most important collectors of Islamic manuscripts in his day and saw the library as a critical space for a cross-boundary shared space of study. He was the catalyst for the establishment of the Arabic collection at the Jewish National Library in Jerusalem in 1924 and bequeathed to the NLI his phenomenal collection of rare Islamic, Jewish and Latin manuscripts. In this talk, Dr. Ukeles will sketch the main themes and pursuits of Yahuda's intellectual life and then, inspired by Yahuda's vision, offer her own reflections on the Library as a locus for bridging cultures and joint inquiry. 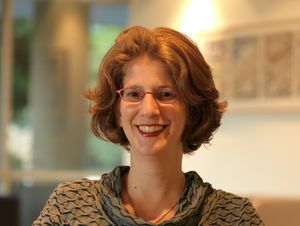 Raquel Ukeles, PhD, is curator of the Islam and Middle East Collection at the National Library of Israel (NLI). Raquel received her BA from Princeton (1993) and MA and PhD from Harvard University in 2006, all in comparative Islamic and Jewish studies. She also studied Jewish law in Jerusalem and New York, and Islamic law and Arabic in Egypt, Morocco and the Netherlands. Her publications span medieval Islamic law, comparative Jewish and Islamic traditions, and a monograph on Islam in America post-9/11. For the past 20 years, Raquel has taught extensively both in the US and Israel on Islam and Judaism, and on improving Jewish-Muslim relations.